Do you want to store your BOAT, MOTORCYCLES or CLASSIC CARS conveniently on your property? Do you have a hobby that requires a large, insulated, air-conditioned pole barn that is wired for 220V? If you answered yes, this is the property that youve been looking for! 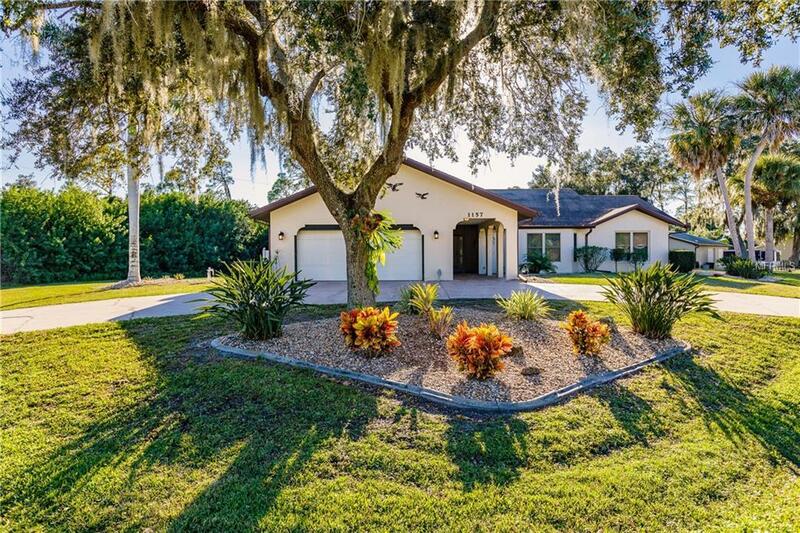 Meticulously maintained inside and out this 3 bedroom, 2 bath, split floor plan retreat is situated on 3 lots. The completely updated eat-in kitchen with plenty of storage and a pass-through window to the lanai makes entertaining a breeze. Open the pocket sliding doors to your screened-in lanai to give the living room and lanai the look and feel of one large wide open room with a crystal clear pool. Pole barn fully piped for compressed air in addition to several outlets also 3 220v outlets. Enjoy living in paradise while being conveniently located close to shopping, restaurants and medical facilities.